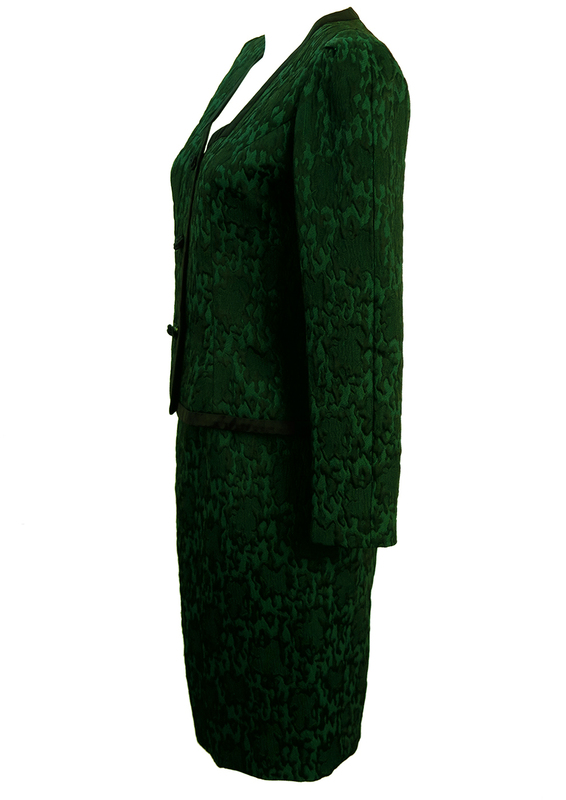 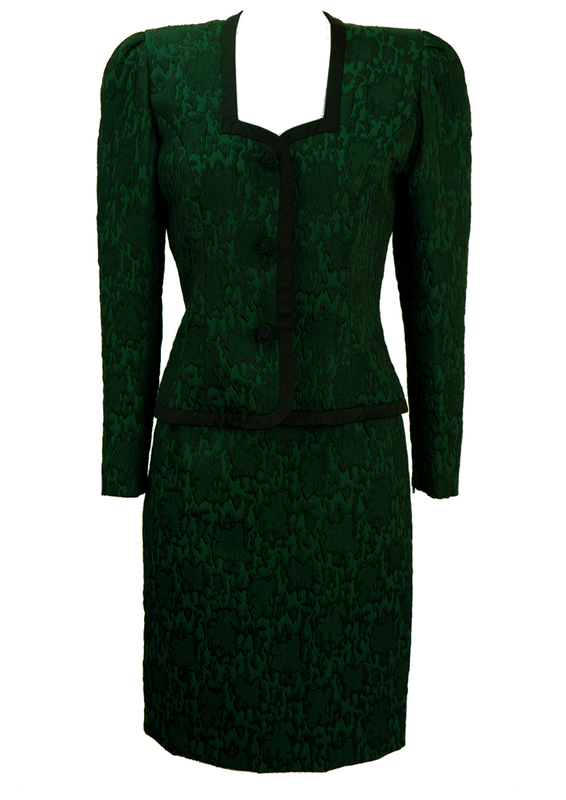 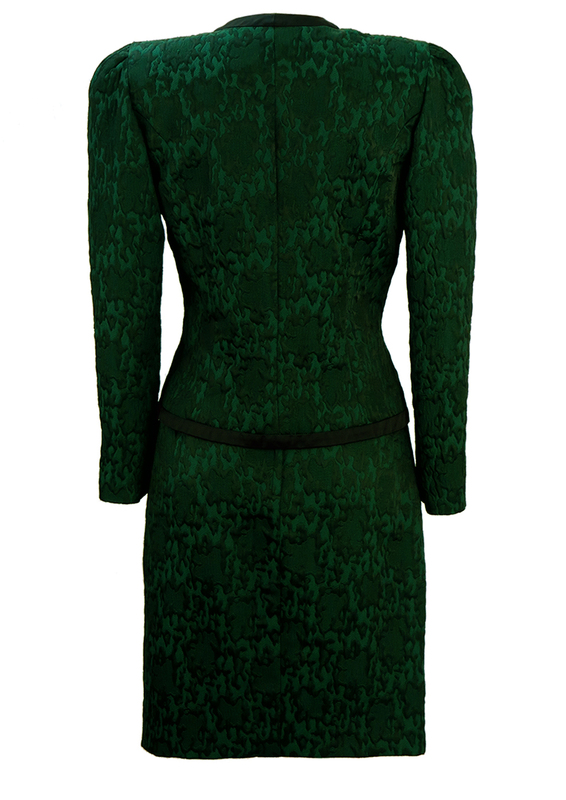 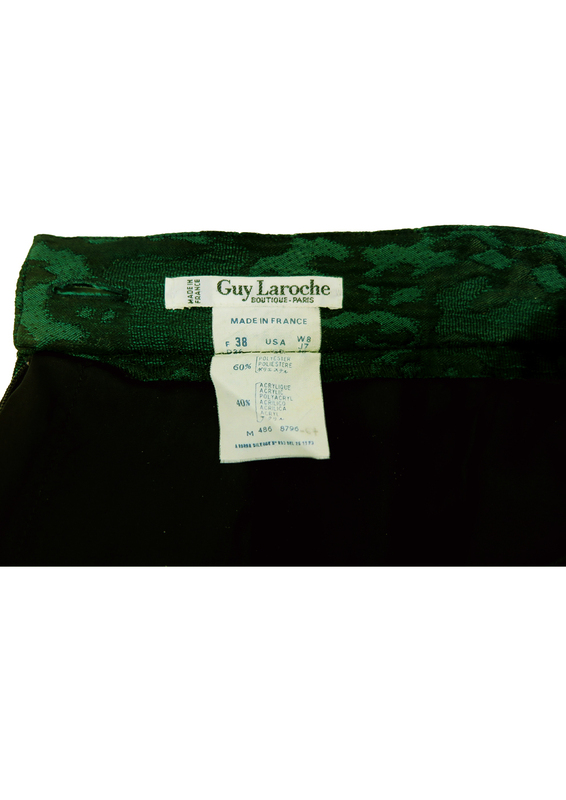 Stunning vintage Guy Laroche fitted jacket & skirt two piece in a dramatic dark green & black almost tonic-like colourway with black satin edging. 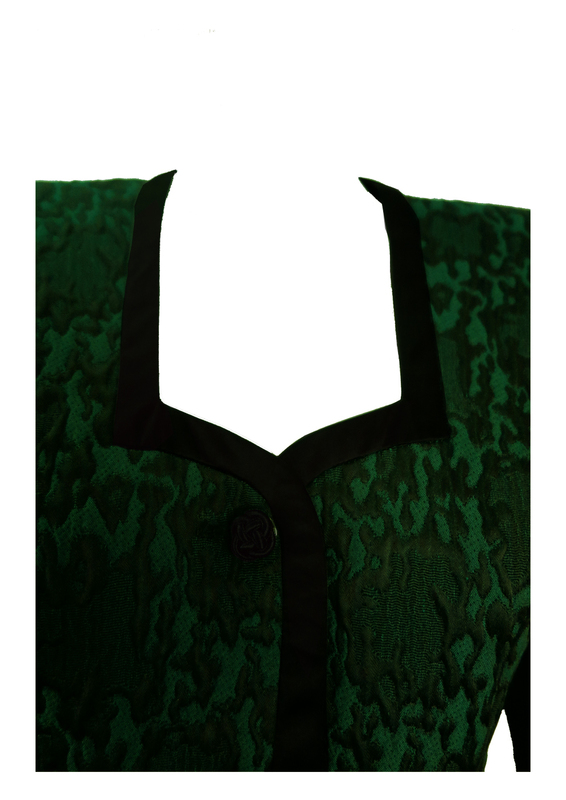 The fabric has a very subtle sheen to it and features a textured abstract pattern throughout. 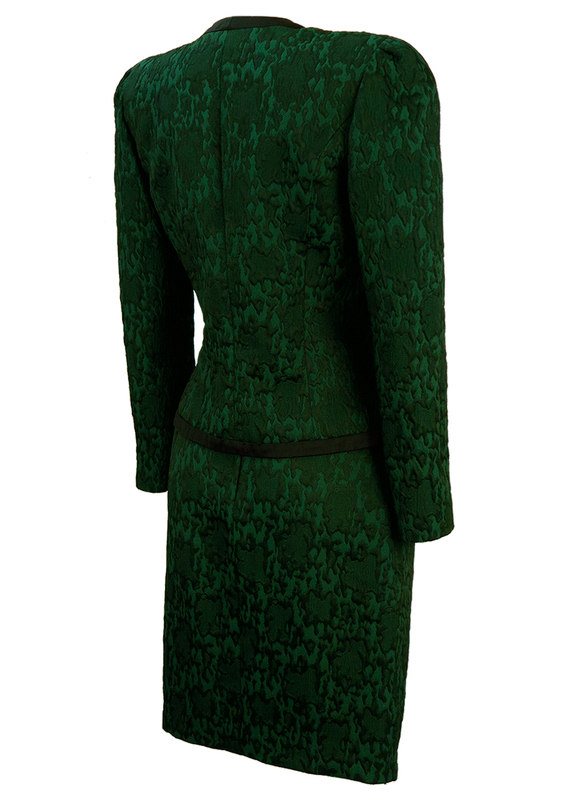 The jacket has a fitted cut with structured shoulders that have gently fabric ruching and a lovely sweetheart neckline.The sleeves taper in slightly at the ends with the additional design detail of subtle inner seam zips that sit approximately at wrist level. 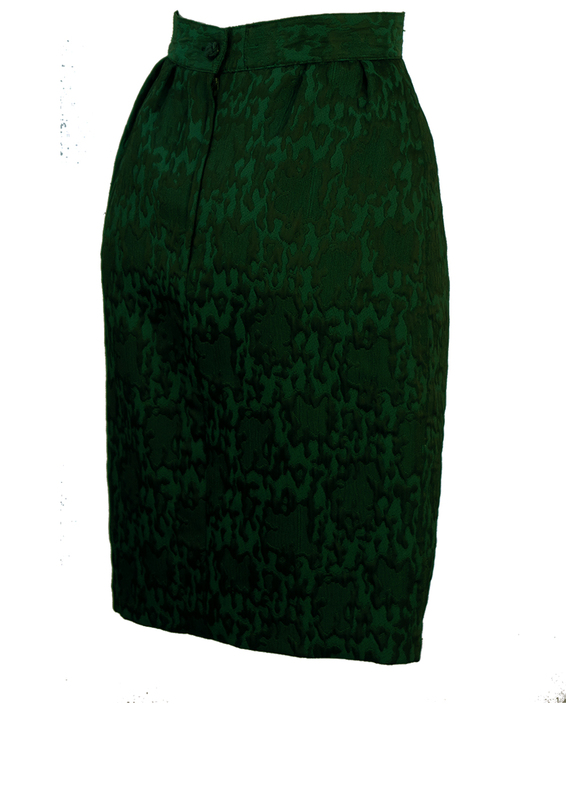 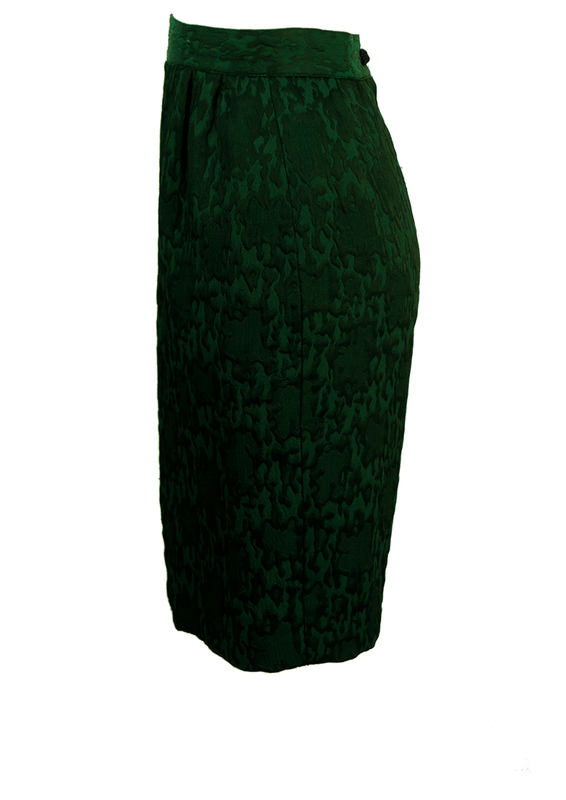 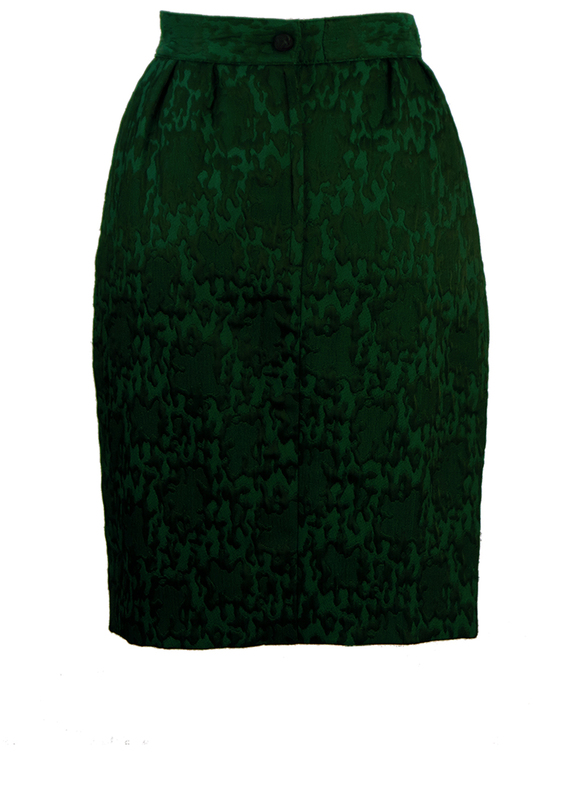 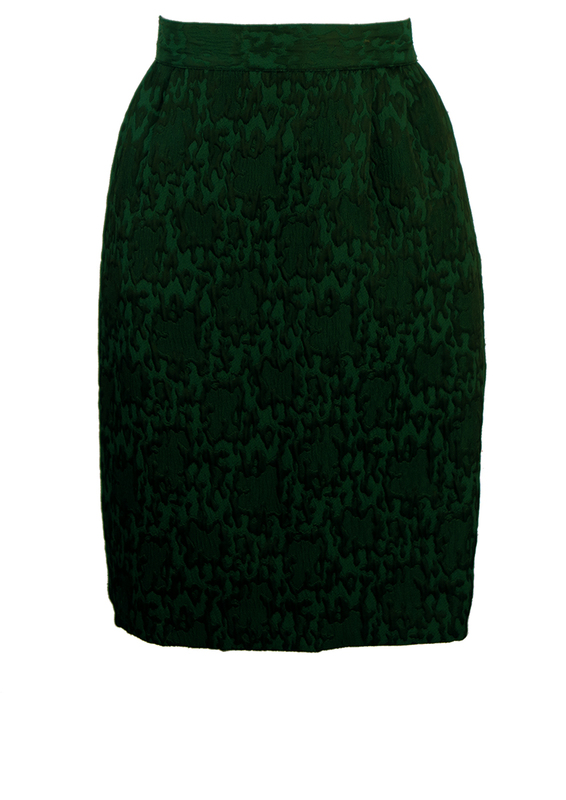 The skirt has a high waist pencil shape to it and sits above the knee. 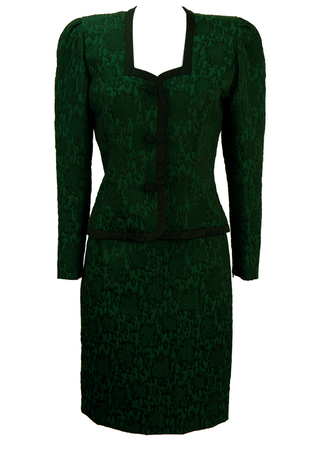 Both the jacket and skirt are expertly lined in black and in excellent condition. 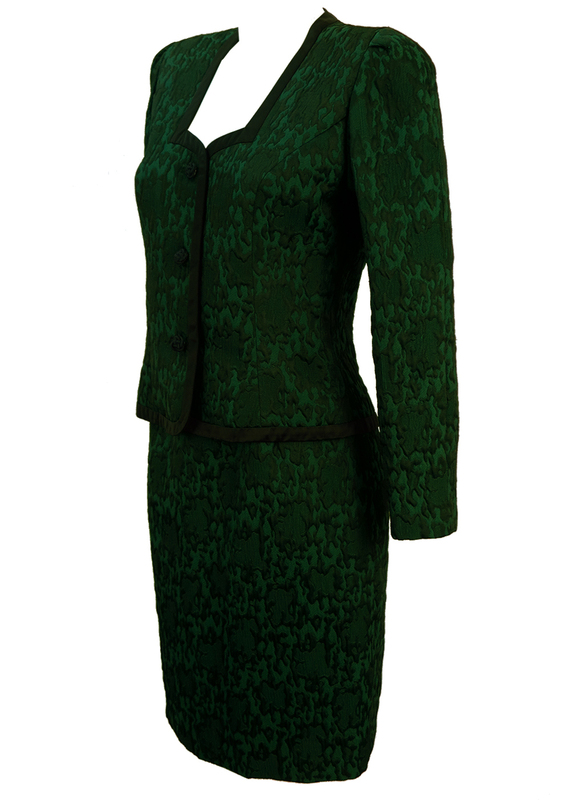 Jacket – 20.5", Skirt – 22"
Jacket – 31", Skirt 27"